The modern rhythm of life doesn’t allow us to spend precious time, especially on expectation for varnish to dry. Languid waving of hands with a fresh-colored nails has consigned to the past. Today fast drying becomes our salvation. 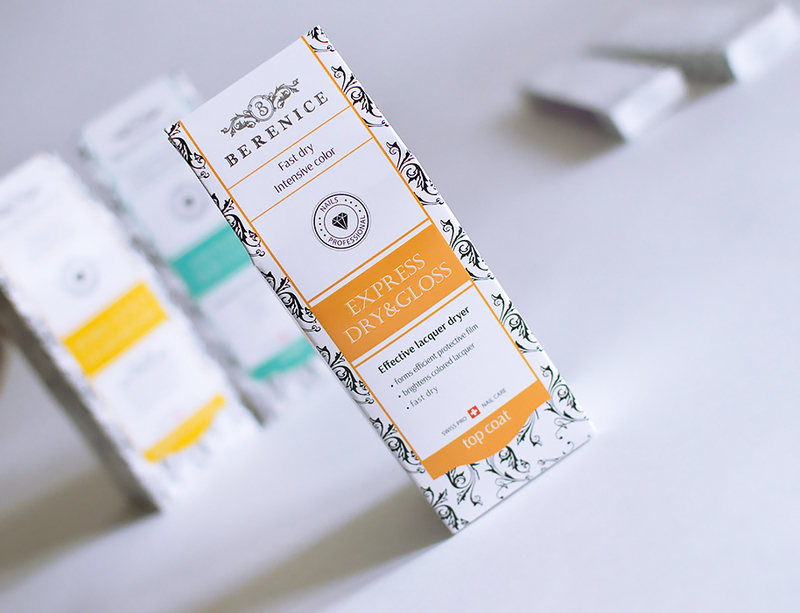 «Express dry & gloss» by BERENICE is a unique tool which provides fast drying of varnish and adds mirror gloss to nails. Apply only thin layers of color varnish. Apply the second layer only after you make sure, the first layer has dried fully. Apply a drop of «Express dry & gloss» on slightly dried up color covering and accurately allocate means on a nail plate, without pressing on a brush. Put « Express dry & gloss» repeatedly after one or two days after making manicure to recover color and to return gloss to the nail covering. 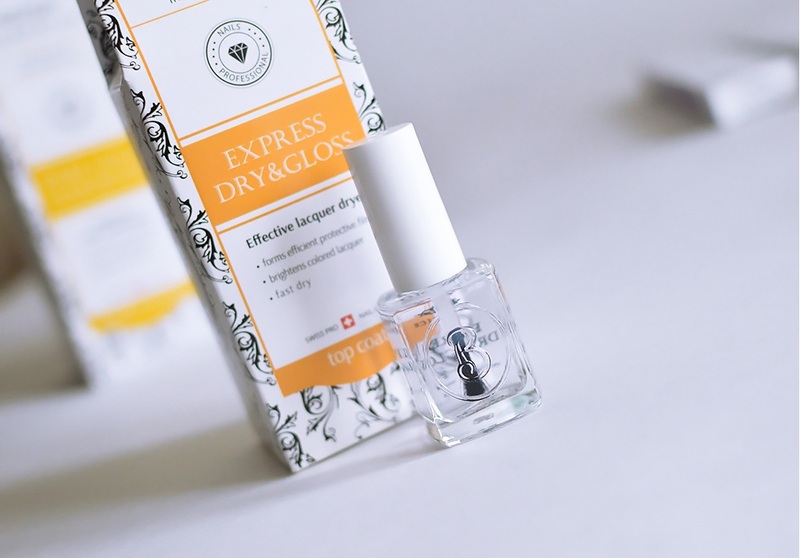 «Express dry & gloss» will help to smooth small defects of fresh-made manicure. Means of «Express dry & gloss» makes color varnish long lasting more. «Express dry & gloss» gives to nails 3D – effect of a gel covering. Use «Express dry & gloss» when you want to give to nails more well-groomed look, even without applying a color covering. Just put 1 – 2 layers of means. Take «Express dry & gloss» with you while going on a holiday on a seashore: means will protect a color covering from burning out on a bright sun and also from harmful effects of UV rays. The professional flat brush is made of high-quality nylon. The dense adhering to each other of bristles will allow to put means most comfortably. Means of «Express dry & gloss» is based on technology «5 free» which guarantees no such components in the formula as: toluene, DBP, formaldehyde pitches, phthalates and camphor.